This Shrinking World introduces the reader to an intriguing new world, one with a rather unique connection to our own. Amy, a successful CEO on the eve of her 40th birthday, has been seeing and experiencing some odd things and not all of them are in her head. 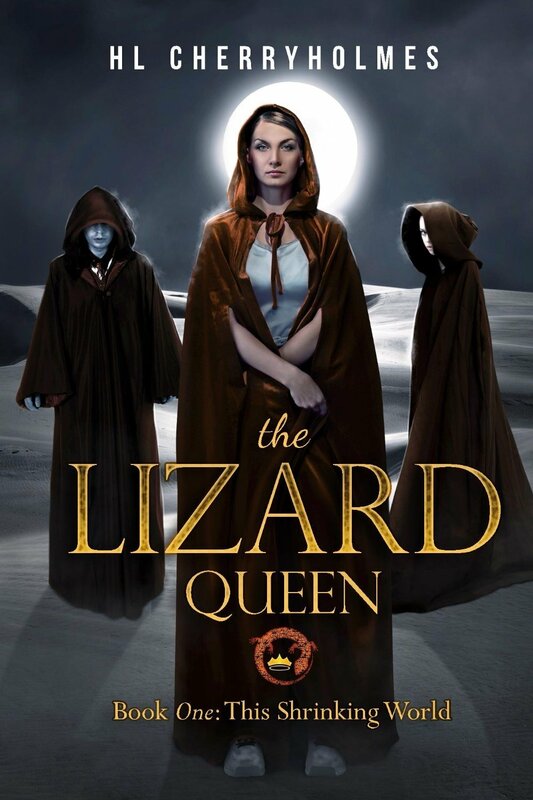 Sure, perhaps the shadowy figure in her room could be from that place between waking and dreaming, but what about the orange lizard that scampers across her office and elsewhere? Those might be in her head, but her assistant had no trouble seeing the golden bangle. On a whim, she decides to run off to her hometown for a bit of rest. And that’s when the already odd things take an even weirder turn. I really enjoyed this story, particularly the way the parallel world is revealed, slowly and and through Amy’s eyes. No info dumps here. I also liked the process of figuring out just how the world is connected to ours, and how its people came to be, the origin story. I’m still not exactly sure, but I have plenty of theories. I’m curious to find out which of them, if any, are correct in the later books. There’s also a hint of romance, but just a hint. Nothing racy. It was also refreshing to find a fantasy world where the people speak variations of Spanish mixed with English, rather than some fictional language that’s nearly impossible to pronounce. That the setting is likely parallel to Southern California is supremely interesting to me. Thin boundaries, and all that. It made me glad that I’ve been brushing up on my Spanish. On the other hand, the story gets a little caught up in the tedium at times: grooming, traveling, changing clothes, eating. Still, each of these things reveal a little about the people, the history or the setting, it’s just not quite as action packed as some might like it to be. I also found the dialog between Amy and her earliest companions a little off at first. I didn’t care for how Amy reacted to her rescuers, particularly when they were trying to sneak her away to safety. Finally, it’s only fair to say that this is one hundred percent meant to be read as a series. It ends with much to be resolved and many questions yet to be answered. Not exactly a cliffhanger, more of an intermission. Overall, I liked this book. It might be a good bet for those who enjoy fantasy that doesn’t reveal a whole lot up front, particularly for those who like trying to figure things out from clues and context. I think people who like stories that feature alternate realities and parallel worlds would also dig this. The review copy of This Shrinking World was supplied by the author in exchange for a fair and honest review.